Jake Saltzberg ’20 (international business & management) is a photographer, musician and Benjamin Rush scholar who’s serving an internship at the University of Wisconsin Medical College’s Clinical and Translational Science Institute this summer. He also has a passion for the German language, and he earned Dickinson’s Urkunde Certificate for outstanding achievement in German in 2017. 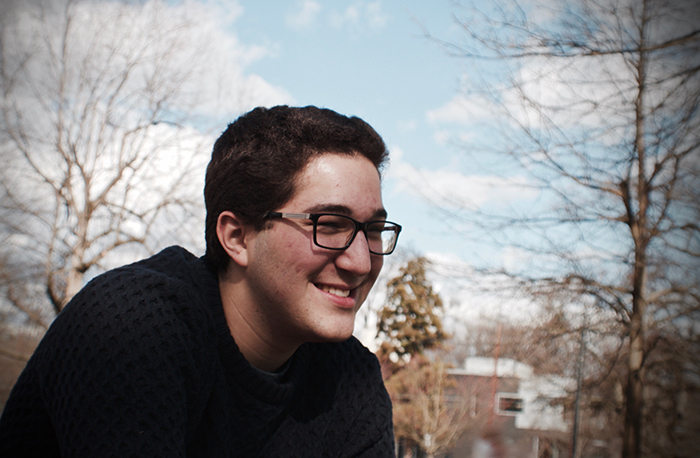 Below, Saltzberg discusses the power of sincerity, the person and qualities he most admires, how he chose his major and more. International business & management, with a minor in German. The Peddler, Jazz Band, Jewish Life, Liberty Cap Society and Tritons. Benjamin Rush Scholar and Urkunde Certificate (German language). The Martian Chronicles by Ray Bradbury. I knew I wanted to be a business major because I knew it could help me get my foot in the door at a lot of places. A business degree helps students develop leadership skills and gives them the means to be successful in the business world. Dickinson’s business program is highly ranked in the country, and I knew that with the diverse faculty we have here, I would get an amazing education. Exploring German Cultures. For every class, we had readings about a different aspect of German culture and spent time examining and discussing each element in depth. I decided to study at Dickinson because I could study business while also having the other opportunities that come with a liberal-arts education. Dickinson has so many interesting classes and activities on campus, and with the language requirement, I can keep studying German as part of my business curriculum. Associate Professor of German Kamaal Haque. I’ve had him for three different classes in my two years at Dickinson, and I’ve loved each one. He’s been a great professor as well as an excellent mentor. I’m an avid photographer. I love taking nature photography, especially after it rains, but I also get immense joy out of taking portraits for people and making them feel good about themselves. I spent last summer going to different state parks with my camera and taking pictures deep in the woods. Photo by Jake Saltzberg '20. I’m interning at the Clinical and Translational Science Institute for the Medical College of Wisconsin this summer, and I will be participating in their health care administration program. If you ask someone how they’re doing, you have to make time to sit down and listen. Sincerity is key. ... my great-great uncle, Paul Ginsberg. He was a great man and an inspiration to our entire family. He was the dean of students at University of Wisconsin for 17 years and was always someone great to talk to. He always seemed to be drawn to help people in need. Learn more about internships at Dickinson.